Warning: The following photos may inspire wanderlust. Brides Without Borders, a site devoted to helping couples plan destination weddings, just announced the winner of their "Image of the Year" contest. 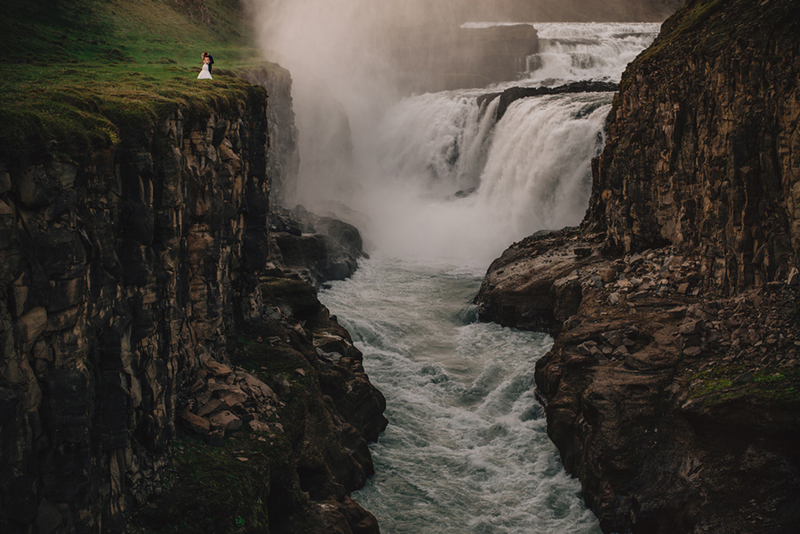 It was a close race, but Calgary, Alberta-based photographer Gabe McClintock took home the crown for the incredible Icelandic elopement shot below (to see more photos from this shoot, check out HuffPost Weddings' coverage of the wedding). Each month, Brides Without Borders' readers voted on their favorite destination wedding image featured on the blog. The site then rounded up the 12 winners from January through December and asked readers to vote for the best photo of the year. "The competition was designed to recognize and award truly exceptional wedding photography," founder and editor Kirsten McGuire told The Huffington Post. "It might be a candid moment, an atmospheric shot that perfectly captures the location or for whatever reason, a really beautiful or artistic wedding portrait. And because our sole focus is destination weddings, spectacular scenery is a common theme!" You can see the 11 other finalists' stunning photos from places like Mexico, Spain, Thailand and France below.